1. Think of conversation as juggling. Most jugglers have to concentrate on keeping several balls in the air. To keep a conversation going, focus on what you’re hearing from the speaker, not your interior dialogue. 2. What you’ve just heard may not require an immediate verbal response. In some exchanges, facial expressions of concern and interest can play as large a role as speaking. 3. Verbal responses should be deliberative. Off-hand replies risk diminishing the value of what the speaker said and being hurtful and dismissive. 4. Open questions enrich conversation. Queries beginning with “How” or “What” seek to engage the speaker in conversation. Closed questions that only elicit a “yes,” “no,” or another one-word reply stymie, if not devalue, dialogue. 5. Asking “Why?” risks distancing the listener from the speaker, especially if a ‘why question’ requires a speaker to justify what she’s said. 7. Own what you say. Ownership means leading with an “I statement” such as “I think,” “I believe,” or “I imagine.” Owning your words gives them meaning. Instead of saying, for example, “Caregiving is a challenging and at times overwhelming experience, lead off with “In my experience caregiving is…..” See the difference? 8. Be reflective. By mirroring back to the speaker what you’ve heard (using different words) lets a speaker know you are genuinely listening. This is also called “reframing.” For example, if a speaker sounds angry, you might say: “I sense that you are displeased with how things are going.” Or, if a speaker is critical of someone, you can reframe her remarks by stating: “I sense you have some issues with that person.” In other words, acknowledge what been said, but try to de-escalate the emotions behind it. 9. Finally, tailor your words to invite a reply. Stitch them together so that your conversation partner feels heard. Questions like “What else do you recall?” or “Tell me more about it.” add value to your exchange. *”Five Bad Listening Habits and How to Break Them.” www.tammylenski.com, Oct. 2018. The Pouncer: This non-listener is waiting for the other speaker to pause just long enough to inject his point into the conversation. The speaker may be in the middle of conveying a thought, but hesitated to take a breath or sip some water. That’s the moment the pouncer has been waiting for: to take charge of the conversation. Q: How do you convince a family member or friend to change when your relationship seems to be headed for a cliff? Everyone needs a will, but less than half of American adults have one. The young think they’ll live forever. Or they don’t have any wealth to worry about. But if you have a child or own a home, you need a will. 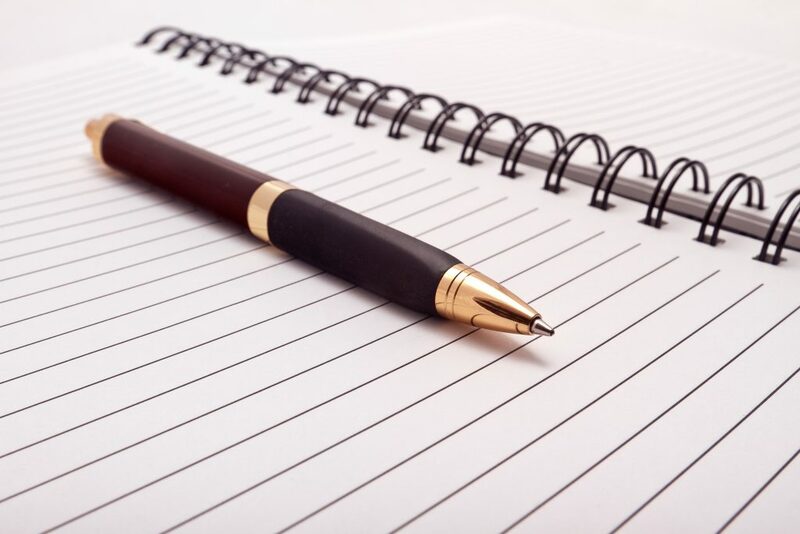 A May 18, 2016 Gallup poll found 44% of all adults had wills. But likelihood depended on age, education, and economic status. The percentage rose to 75% of upper-income (above $75,000 per year) college educated Americans 55 and older. That’s good news. In our book Love’s Way: Living Peacefully With Your Parents As Your Parents Age we urge readers to have a will. This is nothing new. Everyone above the age of thirty knows they need one. Nevertheless, many people, from show-biz stars like Prince and Aretha Franklin, to legal giants like a Supreme Court Justice whose name I can’t reveal, have died intestate. Might this be you? Of course, you, like they, know better. Then why haven’t you made a will? First, a patient should know his or her health goals, or seek help in defining them, especially as she or he advances in years. For example, if you became severely ill, even mortally ill, how much ‘heroic effort’ would you want your doctor to provide? You should understand your medical options in case a health crisis occurs. Bottom line: What quality of life would you want were you severely ill with questionable chances of recovery? 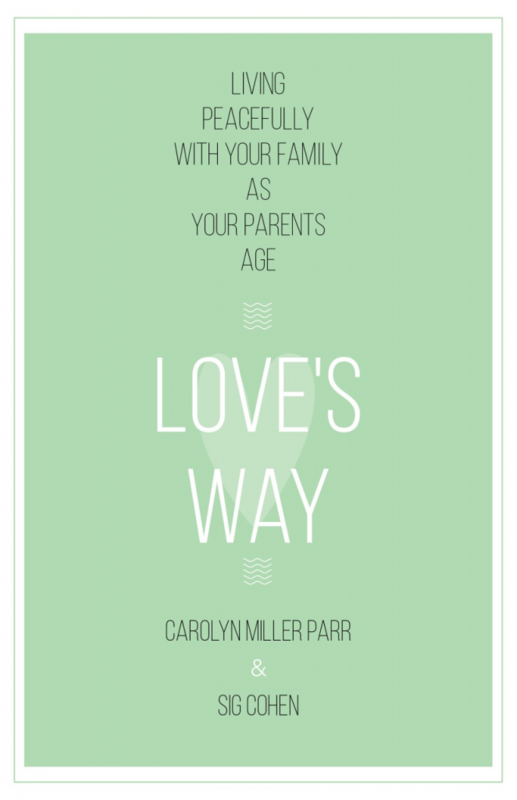 We are excited about the imminent release of our book, Love’s Way: Living Peacefully with Your Family As Your Parents Age, and hope our readers find what we wrote valuable. Like other writers we are often asked to sum up what our book is about. Love’s Way covers so much ground it’s hard to sum up our theme in a few words. For example, a sympathetic reporter from a local paper asked me: “What is the crux of your book?” Her question stopped me cold in my tracks. The crux of our book? I never thought of our book having a “crux,” but rather a continuum: Starting with the scourge of ageism, we highlight such topics as sibling relations, assumptions, forgiveness, legal concerns, care giving, and end with death and dying. A kind of arc of issues that frame how aging has and will continue to impact families. But the crux? In as few words as possible I’d venture to write: “Our book addresses the impact that a parent’s aging can have on families, and how they can respond with love, understanding, and empathy.” We hope our book will bring families closer together as they accompany one another through life. 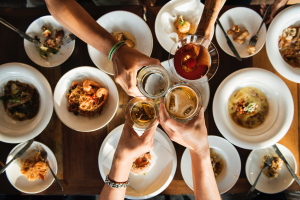 This post was originally published under the title “Grandma’s Secrets: 5 Questions for Thoughtful Conversation” on Iona Senior Services’ website on October 9, 2018. Learn more about Iona at www.iona.org. 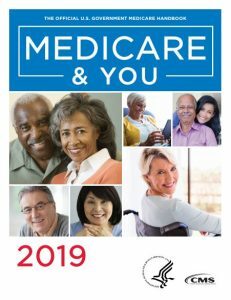 Usually I toss my copy of the annual Medicare and You Handbook into my ‘read file.’ But with our book coming out in January (see below), I carefully reviewed this year’s issue. Its 122 pages are chock-full of information on coverage like chronic care management services (p.34) and yearly wellness visits (p.49). But the following three items, I believe, merit special attention.